The benefits of the garage door systems in our home and business are often overlooked. Not only do they add security, but they also add protection and storage to your vehicles and other belongings that are placed inside. However, one thing is for sure, when these systems malfunction or break down, it can quickly become overwhelming to deal with and puts all the inside items at risk of theft or damage. That’s why when you have issues with your garage door or garage door opener, you need to contact a local garage door company. When it comes to garage door companies in Cicero, Indiana, Garage Door Doctor is one of the few that offers reliable, transparent, and affordable garage door services. We are a locally owned and operated garage door company that specializes in both residential and commercial services, with the ability to work on a variety of makes and models from some of the leading manufacturers in the industry. 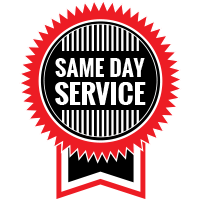 We are committed to providing quick and efficient garage door services, which is why we offer same-day appointments and 24-hour garage door services for those repairs that just cannot wait. Our wide range of professional and affordable services are why many home and business owners consider us as one of the best garage door companies in Hamilton County. Garage Door Doctor is known for our professional and friendly services in Indianapolis and the surrounding areas. If you live in Cicero and are in need of maintenance or repair for your garage door, our team will be able to provide you with the best solutions through our services to ensure your garage door system is in the best condition. Did you know that is estimated that around 63 percent of homes have garages? This means that 63 percent of homeowners will likely come across garage door problems at some point in time, requiring professional help. Whenever your garage door stops working, one of our skillful technicians will be able to come out to your home to perform a garage door inspection. To learn more about our range of residential garage door services, contact us! A commercial garage door can really improve a business’s operations and efficiency. However, when commercial garage door systems stop working ,they often require professional knowledge to repair. At Garage Door Doctor, we can fix your commercial garage door or commercial garage door opener whenever you are experiencing issues. Additionally, we can install commercial garage doors wherever and whenever you need! There are numerous issues that can cause your garage door to stop working properly, whether it is an issue with the door or the garage door opener. Whatever the issue is, you can rest assured that our team will be able to provide you with a working solution. If you are currently dealing with an old or worn down garage door or opener, we carry and offer installation of quality garage door systems from some of the leading manufacturers in the industry. Routine garage door maintenance is one of the best ways to ensure your garage door is in its best working condition. Additionally, regular maintenance will help extend the lifespan of your garage door system. Our technicians will inspect your garage door system and locate any concerning areas that could lead to further issues and repair expenses down the road. Torsion springs, or your garage door springs, can often break and require spring replacement. An excessive amount of pressure is put onto these springs, so it is no surprise that they burst over time. Without working springs, your garage door will likely not open or close the way it should. Luckily, Garage Door Doctor offers reliable garage door spring repair services. A broken garage door is one of the most inconvenient ways to start your day, especially if you have urgent matters to attend to. 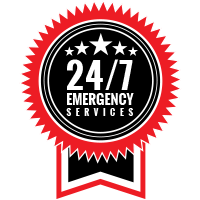 That’s why our garage door company offers emergency garage door services 24-hours a day, seven days a week. Day or night, you can have peace of mind in knowing that our technicians are just a phone call away. Whatever your residential or commercial garage door needs are, you can rely on the team at Garage Door Doctor. If you need garage door repair or maintenance, contact us today!